But the Knicks’ head coach (Fisher) and Knicks’ star player (Anthony) both conveyed how an injury to their longtime friend struck them. Fisher revealed he took Bryant’s injury “personal” considering they won all of their five NBA championships together with the Lakers. Anthony conceded Bryant’s injury “was tough on me” as the Knicks’ star is already dealing with a sore left knee that leaves him hopeful to play when the Lakers (13-34) play the New York Knicks (9-38) on Sunday at Madison Square Garden. Byron Scott: What did Jordan Hill have to eat before going off on Chicago Bulls on Thursday? Jordan Hill had a season-high 26 points along with 12 rebounds in the Lakers’ thrilling 123-118 double-overtime victory over the Chicago Bulls on Thursday, which marked Pau Gasol’s return to face his former team at Staples Center. Hill shot 11 off 22 from the field and also had three assists, two blocks and a steal. Coach Byron Scott would love to see more of that from Hill, who averages just 12.5 points, 8.1 rebounds and 0.9 blocks on the season. “I told somebody I’ve gotta find out actually what he had for lunch or for breakfast or dinner the night before, find out how we’ve gotta keep him playing that way, you know, with that type of energy,” Scott said. With Lakers guard Kobe Bryant out for the rest of the 2014-15 season because of a surgically repaired right shoulder, NBA Commissioner Adam Silver named Sacramento Kings center DeMarcus Cousins as his replacement. This will mark Cousins’ first NBA All-Star appearance after ranking fifth in the NBA in scoring (23.8 points per game) and third in rebounding (12.3 rebounds). The league noted in a release that Cousins represents one of six players to average at least 23 points and 12 rebounds in a season, including David Robinson, Shaquille O’Neal, Kevin Garnett, Tim Duncan and Kevin Love. Cousins may have filled Bryant’s vacant spot. But Golden State coach Steve Kerr, who will coach the Western Conference All-Stars, will determine who replaces Bryant as the starting lineup for the All-Star game on Feb. 15 in Madison Square Garden. Golden State head coach Steve Kerr, who earned the right to coach the West squad because the Warriors clinched the best record in the conference through games played Feb. 1, will determine who replaces Bryant in the starting lineup. The 64th NBA All-Star Game will tip off Sunday, Feb. 15, at Madison Square Garden. The game will be seen by fans in 215 countries and territories and will be heard in 47 languages. TNT will televise the All-Star Game for the 13th consecutive year, marking Turner Sports’ 30th year of NBA All-Star coverage. His presence does not seem as striking as when Steve Nash once threw no-look passes and ran pick-and-roll sequences to near perfection. But Lakers general manager Mitch Kupchak said on Wednesday that the Lakers’ injured 40-year-old point guard has been “around” in mentoring the team’s younger players. 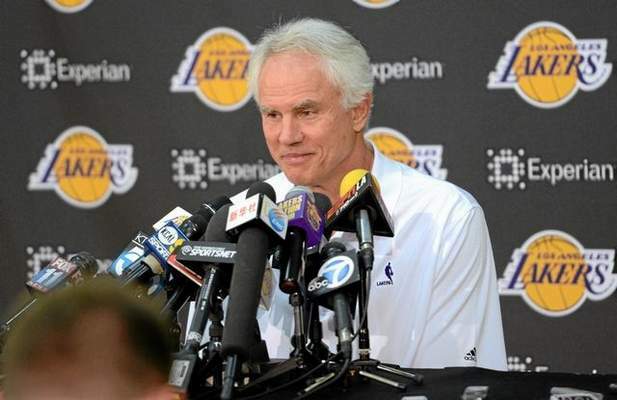 After the Lakers ruled Nash out for the 2014-15 season because of persistent pain in his back, Kupchak also said he has had “multiple meetings ” with Nash, including breakfast about once a month. Former Lakers big man Pau Gasol doesn’t miss media scrutiny in L.A.
Pau Gasol of the Chicago Bulls on Thursday morning talked about his emotional return to Los Angeles to face the Lakers on Thursday night at Staples Center. He spoke of the memories he’ll realize once he steps onto the floor and all sorts of warm and fuzzy things. He doesn’t miss the media scrutiny of Los Angeles, however. He made no bones about that. “Obviously, when things were going well here, it was exceptional,” said Gasol, who spent seven seasons with the Lakers and helped them win NBA titles in 2009 and 2010. “They say L.A. and New york are two of the top cities, the best cities to win at. But they’re probably two of the tougher cities to lose and struggle because you get so much coverage that media have to create stories. And sometimes the bad or negative stories are more attractive and so I felt like there was always searching for something bad or negative to talk about. Some drama that was created whether it was some truth to it or not. 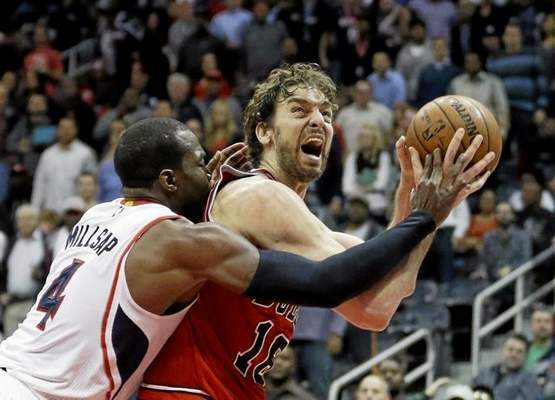 The Bulls (30-17) lost six of eight from Jan. 7 to Jan. 19. They are in fourth in the Eastern Conference standings. 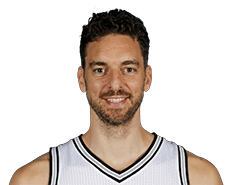 Gasol, a 7-foot post, is averaging 18.3 points and a career-high 11.9 rebounds and is averaging 15.4 rebounds over his past five games. Amid all the question marks surrounding Kobe Bryant’s recent right shoulder injury and what would mark his third major rehabilitation for three consecutive years, Lakers general manager Mitch Kupchak sounded adamant on at least two things. 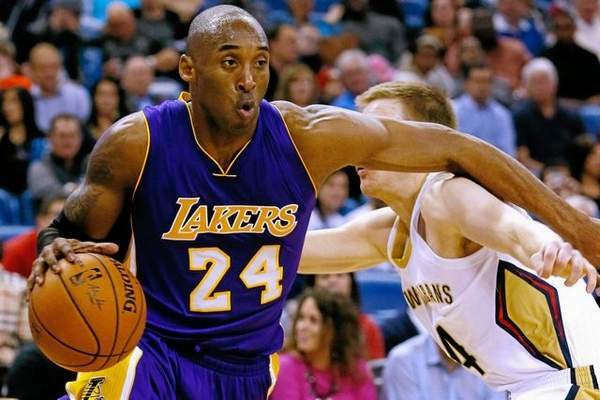 Bryant will return for the 2015-16 season to finish out the last year of his contract worth $25 million. 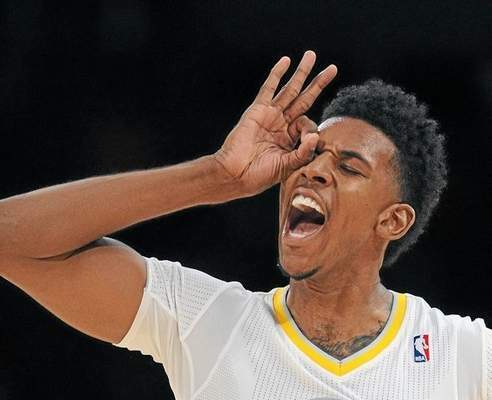 Lakers forward Nick Young will sit out Thursday’s game against the Chicago Bulls (30-17) at Staples Center after missing the previous contest because of a sprained right ankle. Young sprained his right ankle during Monday’s practice, an injury that caused him to sit out Tuesday’s loss to Washington and run only on a treadmill during Wednesday’s practice. 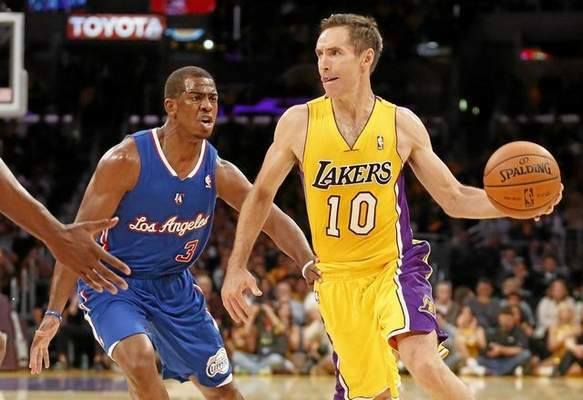 But Young will travel with the Lakers for their four-game trip beginning in New York on Sunday. Before his injury, Young went scoreless on two field-goal attempts in only nine minutes in Sunday’s loss after Scott disliked his body language and overall effort. Young has averaged 14.1 points per game, but he has shot at only a 37.3 percent clip. 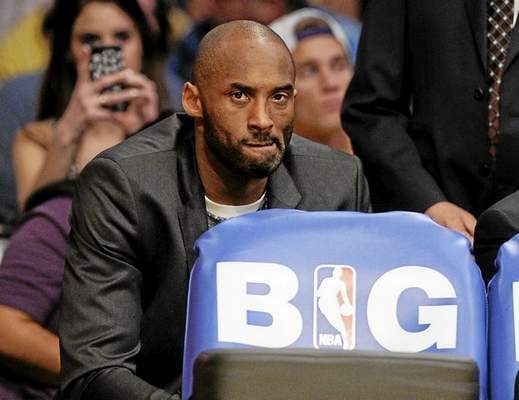 Plenty of emotions swirl around the Lakers these days, and they do not just involve frustration over persistent losing and Kobe Bryant’s season-ending right shoulder injury. Anticipation and sentimental emotions await for when Chicago Bulls forward Pau Gasol will play against the Lakers (12-24) tonight at Staples Center for the first time since leaving this offseason through free agency. Gasol already met against the Lakers on Christmas Day in Chicago, posting 23 points and 13 rebounds in a 113-93 win over his former team. But the circumstances in this game are different. Time Warner Cable’s Access SportsNet where host Jaime Maggio, analyst Dave Miller and I preview Gasol’s return and outline what kind of reception he will receive after helping the Lakers to two NBA championships in 2009 and 2010. 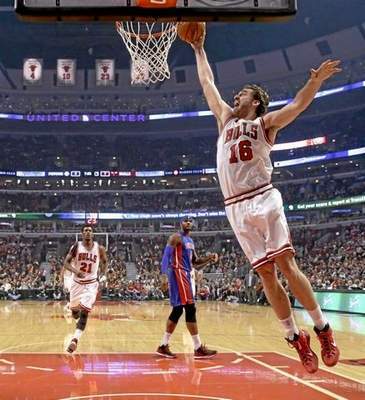 Ever since the NBA released its schedule last August, Pau Gasol immediately zeroed in on this upcoming date. He will return to Los Angeles for Thursday’s game against the Lakers, which will mark the first time he faced his former team at Staples Center since leaving them this offseason through free agency. Gasol anticipated he will feel more emotional than when the Lakers visited the Bulls in Chicago for a Christmas Day matchup. Lakers coach Byron Scott sounded pretty confident the fans at Staples Center will feel just as sentimental and will greet him with a “standing ovation” for obvious reasons. Lakers forward Nick Young only completed treadmill work during Wednesday’s practice, leading coach Byron Scott to provide a factual albeit biting assessment on how much Young’s sprained right ankle has healed. What is Young’s status for when the Lakers (12-34) host the Chicago Bulls (30-17) at Staples Center? 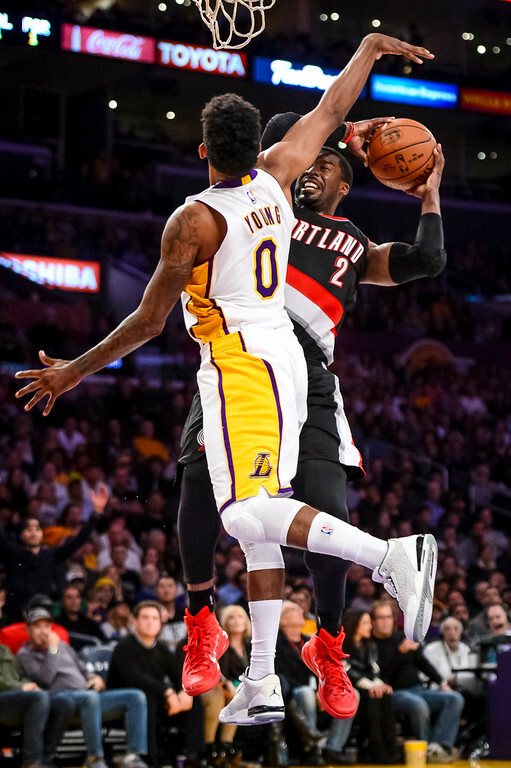 Young missed the Lakers’ 98-92 loss on Tuesday to the Washington Wizards after spraining his right ankle during Monday’s practice. 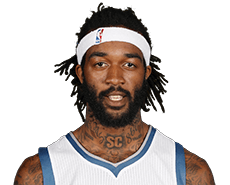 Before that, Young played only nine minutes in Sunday’s loss to Houston after Scott became upset with his effort and body language. Young has averaged 14.1 points per game, but he has shot at only a 37.3 percent clip.